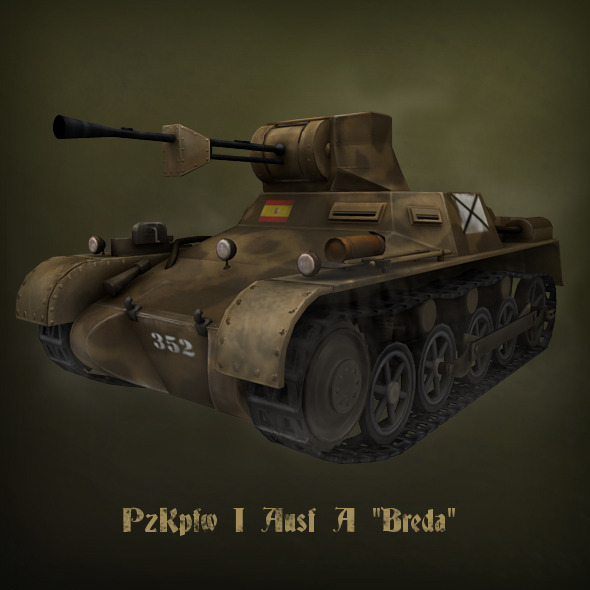 The featured version of PzKpfw I Ausf A is fitted with the 20mm & 8220;Breda& 8221; automatic cannon and it was used during the Spanish Civil war on the side of Nationalists. Heavier weapon didn& 8217;t affected the overall performance of the vehicle so in the later version of PzKpfw, the 20 mm cannon became the main weapon system. Note: In order to display the model correctly in the view port when using max scene file, you might have to reload the opacity map, which has png alpha map for the model.